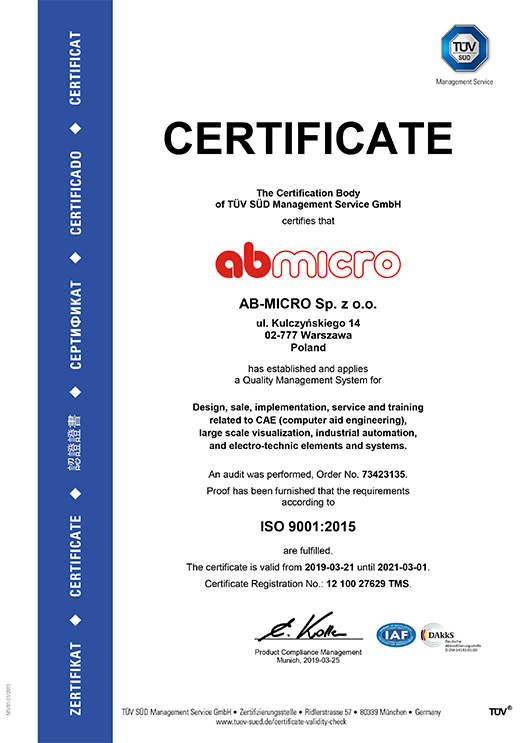 AB-MICRO has over 35 years of experience in providing industrial automation solutions. Scope of our offer covers leading products and systems on the Polish market: e.g. Hirschmann industrial line of network devices and fiber optic converters, EPLAN CAE software, Barco large screen rear-projection and LED video walls, GE Industrial Solutions electrotechnical equipment, SALICRU lighting dimmer-stabilizer to control the power consumption and Progea HMI/SCADA software and solutions, PLC systems from Siemens and GE Intelligent Platforms. We provide GSM/GPRS/GPS telemetry modules and systems for wireless monitoring/control systems. Scope of our services covers technical support, consultations, assistance and trainings. Our application engineers have practical experience from multiple implementations of offered systems.